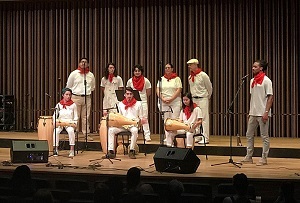 The concert introduces the newly formed Capoeria Ensemble. Capoeira is a Brazilian art combining instrumental music, song, dance, martial arts, ritual, theatre, and more. The ensemble will offer a short performance including songs, grooves, and dance.